My Internet Connection is down or performing poorly. What can I do? Power cycling the equipment on the roof is the primary troubleshooting step. This can be done by locating the roof equipment's Power Supply Adapter, unplugging the cable running to the roof equipment and plugging it back in. My WiFi seems to be slow. What can I do? Power cycling your router is a good start. 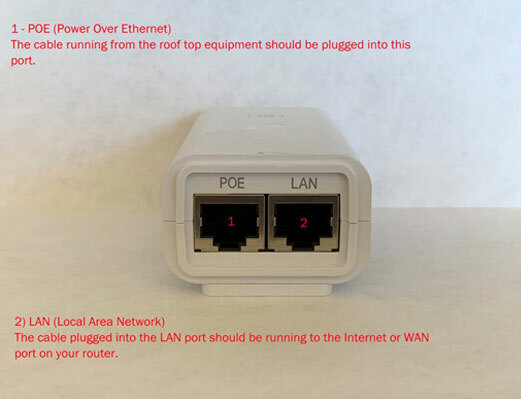 Make sure your router stays disconnected from its power supply for at least 30 seconds before plugging it back in. Your WiFi is also prone to interference from neighboring wireless devices. Most interference issues can be alleviated by moving your WiFi’s signal to another channel. If you believe that your WiFi may be suffering from interference, you can plug a device directly into the back of the router (hardwired) and test the hardwired performance against your WiFi performance. The internet is not working on one of my devices, but is working on others. If the internet is working on other devices, this means that your InfoWest internet connection is active. 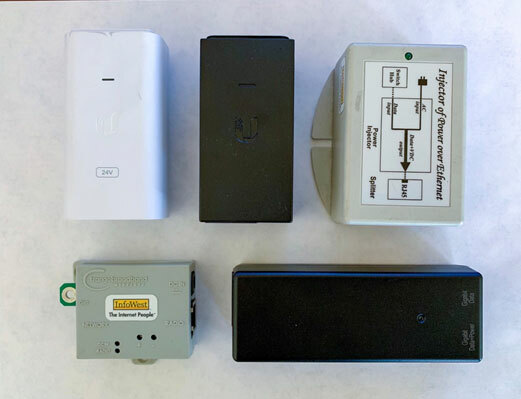 In most cases, if a device is not working when others are, there is an issue with the device connecting to your wireless router. Can my InfoWest connection use the existing cabling that is run in my home? Because every home is different, the only accurate way to determine if your homes existing cabling can be used is to have a technician on site to inspect. What does my roof equipment's Power Supply look like and how should it be plugged in?